Blending essential oils can be challenging at first. It can take a while to master the art of rollerball recipes. However, with a little know-how and practice, it can be a lot of fun and eventually pretty easy to create some great recipes that can help get you where you need to be any time of day. There are a lot of ways to go about using the roller ball. An excellent use for it is to customize and create blends that are beneficial to you and what you are looking to get out of essential oils. When applying essential oils, it can get messy. The roller ball makes it much easier and cleaner when you use the oils to your skin. They are also great for carrying around in your pocket or purse for those times when you need to reapply but you’re not at home. If required, you can pre-dilute your blends and put them in the roller ball, so they are ready to use rather than having to mix them in the bottle. The amount of dilution you use for your essential oils will depend on a lot of things. You will have to consider your weight, any health issues you have, along with the oils being used. It is also important to consider how sensitive your skin is. Another factor is how long you plan on using them. When you are first starting out, it is always safer to dilute more and over time increase your essential oil drops as you go. This will ensure you do not have any problems when you first start out. The first thing you will have to do is consider what it is you want to get out your essential oils. Once you have done this, you will need to find each blend’s classification. This is the hardest part for those starting out, but over time it will get much easier. Once you have your list, you will need to organize them, and you will do this based on their notes and classifications. The oils from the same botanical family tend to blend much better together as well as other oils that have comparable constituents. You will need to consider the essential oil’s note. There is a top note, middle note, and a base note. The top note is the most noticeable scent and will evaporate the quickest. Lemon and orange are examples of top notes. The middle note, also known as the heart note is what will make up the majority of the blend. Lavender, juniper, and sage are a few examples of middle notes. Lastly, the base note will become pleasant as time passes, it gives depth to your blend. Sandalwood, cedarwood, rose, and ylang-ylang is examples of base notes. This recipe is great for whenever you have an upset stomach. Roll this in a clockwise circular motion on your stomach. Rollerball recipes for soreness can be a lifesaver. Roll this recipe directly onto the sore muscles. This recipe is to be used whenever you have a bruise. This encourages healing of the bruised skin. Rollerball recipes can help you mentally. Like whenever you’re in the middle of a mid-day slump. This recipe promotes both sleep and relaxation. Take this when you’re getting close to bedtime if you’re having trouble falling asleep. Whenever your lips are a little dry, this is a great recipe. Roll the ball onto your lips then rub your lips together for healthy lips that shine. When the itching begins, and you need some relief, then this is the perfect recipe as it soothes itching as well as discomfort. If you’re in the midst of a breakout, then this recipe will do wonders for your skin. This recipe helps to support both relaxation and tension so that the discomfort of a headache will melt away. If you need a pick me up, this recipe encourages a mood change and makes you feel happier. I love to use essential oils for myself as well as for things around the house. For instance, tea tree oil works great for keeping your laundry fresh as it will kill the microbes that are in the washing machine. Many don’t realize just how dirty your washing machine is. Only 3 to 10 drops of tea tree oil will make all the difference. I sometimes struggle with dandruff, and it is hard to find a shampoo that actually works in getting rid of it. Tea tree oil is an excellent oil to use to help with keeping your scalp dandruff free and healthy. When it gets to be cold, and flu season, I go for an immune booster in these oils. I use it to keep my body healthy and my immune system strong. Rub the roller onto the bottom of your feet or your chest for great immune protection. After shaving my skin will sometimes get irritated, this may be because my razor got too old, or I didn’t use enough soap and water when shaving. Whatever the case may be, I use these oils to help promote healing and keep my skin looking and feeling healthy after shaving. This particular blend is great for supporting your immune system. It is ready to be applied as soon as you get it. It comes in a beautiful amber glass bottle with a steel roller ball. It is pre-diluted with fractionated coconut oil to ensure that it is both safe and easy for you whenever you apply it. It is 100% pure as every oil that is used in this blend goes through an extensive third-party GC/MS Organoleptic as well as Microbial testing to ensure its pureness. This recipe includes lemon, clove bud, cinnamon, eucalyptus, rosemary, lime, spearmint, oregano, peppermint, and FCO. Eucalyptus Essential Oil : clears the mind. For those times when the stress gets to be too much, or you can’t seem to relax, then use this blend to help calm you down. This oil will clear the mind as well as uplift and soothe you to help melt the stress away. It soothes not just your mind but your body as well as it will benefit from the lack of stress you will soon have as you apply this roller ball. You will roll this recipe on your wrists as well as anywhere else you feel you may benefit from. Bath and Body Works Aromatherapy Sleep - Lavender & Cedarwood Essential Oil Rollerball 0.27 Fl. Oz. Lavender Essential Oil : inspires tranquility. Cedarwood Essential Oil helps calm the mind. If you’re struggling with insomnia, or just taking too long to fall asleep, then this is a fantastic recipe to use. It encourages tranquility and will help calm your racing mind and thoughts for you to fully relax and fall asleep faster. It is infused with natural oils. You will apply this and then breathe in deeply to get the best results. The recipe includes lavender and cedar wood. 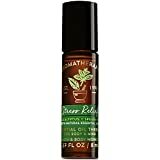 Bath and Body Works Aromatherapy Focus - Eucalyptus & Tea Essential Oil Rollerball 0.27 Fl. Oz. This is a fantastic recipe when it comes to clearing the mind and helping you to focus. It can be easy to lose focus, especially when you hit that mid-day slump. Not only will losing concentration affect your ability to concentrate, but it will also affect your mood and body as well. It not only soothes the mind but the body and your mood. You will find yourself feeling much more relaxed and able to focus once you have applied and then taken a deep breath of this smell. Kids can so easily get sick, and while it helps to build up their immunity, there are other ways to do this as well. With this recipe, which has a sweet and fresh scent has menthol undertones. This Frankincense carterii constituent blend has been known to help encourage a healthy immune system in children. By taking a deep breath, the constituents that are from ravintsara will both soothe and comfort your child. It has menthol undertones and sweet, fresh notes that make it pleasant to smell as well as great to use. As long as the child is over two years old, it is safe to apply this recipe topically. I hope that you enjoyed this article as much as I love to use rollerballs. 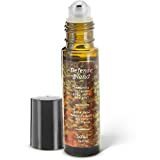 They are so convenient and undoubtedly the best choice to enjoy the benefits of aromatherapy on the go. With them, topical application of essentials oils has never been easier! Please leave a comment below if you want to share your favorite rollerball recipes.